Speaking of Elementary, WebUpd8 reader MastroPino just released a new version of his Elementary Empathy icon theme. The theme uses monochrome icons for the panel and colored icons for the interface of the program: they include states (online, busy, away, etc) but also the action, if there is a new message, and applications, the two stars are been replaced. 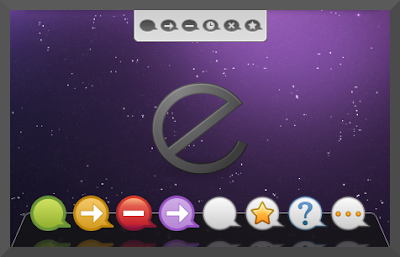 The latest Elementary Empathy 2 adds new icons: user-typing, pendind request and extended away. To use it, grab Elementary Empathy 2 from DeviantArt and extract them to the ~/.icons/hicolor/ folder. See also: Elementary icon theme for Pidgin. Special thanks to MastroPino for the tip!